The lecture hall slowly came to life. Notebooks in hand, the students filed in to take the front rows. They spoke in hushed tones, ready to put those notebooks to use at any minute. I have not seen a crowd of students so eager to start. But this was not your average university lecture. In fact, it was not a lecture at all. It was a premedical symposium intended to introduce them to medical schools and the application process. As the symposium got underway, the various steps of the application process were explained in true medical fashion — with an alphabet soup. You write your MCAT, and then start your OMSAS. If you don’t mind being an IMG, you might also consider filling out your AMCAS or UCAS, just in case. Be prepared to do your MMIs if you they call you in for an interview. The students seemed unfazed. They know medicine is their true calling. “I’ve wanted to be a doctor ever since I was five,” one of them told me with a mixture of pride and determination. That was until we got to the financial section. They all knew medical school would be expensive. What they did not know was how expensive the process of getting in would be. It comes as no surprise that medical education in Canada is very expensive. Tuition at Ontario medical schools hovers around $22,000 per year. Although some financial aid is available, most students will still graduate with enormous debt; according to the 2010 National Physician Survey, the average debt for graduating medical students ranges from $100 000 to $160 000. But as bad as that sounds, the real problem with medical school finances starts way, way before students even set foot on a medical school campus. It starts with a very expensive premedical process that slowly erodes the socioeconomic diversity of university students. This leads to medical schools that are heavily skewed towards those with the financial means to endure the application process. The costs of getting into medicine can easily climb into the tens of thousands of dollars. Consider the following. One sitting for the MCAT, a prerequisite for most schools, is $275, but many will find they need to sit this exam more than once to be competitive. If they want an MCAT preparation course with one of the most popular providers, they will have to fork out an additional $2000. And then, there is actual process of applying: using the Ontario application system to apply to all six schools in the province will set medical hopefuls back by $795. If they want to increase their chances and throw in a couple of out-of-province applications, they are easily looking at four-digits just for the privilege of sending an application in. If they receive interview invitations, they have to factor in the cost of travel. If they are not accepted (the likely scenario in the case of most applicants to Canadian medical schools), they will not only have to go through the same process again, but they also have to spend a year or two pursuing further study and sinking deeper into debt. For many medical hopefuls from low socioeconomic backgrounds, this gamble may not be worth it. Many will either stop trying once they are turned down once, or not try at all. In other words, the accumulating costs of applying play a critical role in shaping what your future doctor will look like and where they come from. We have a few studies that support the notion that medical schools are increasingly for those from rich backgrounds. A 2002 study looking at first-year Canadian medical student demographics showed that only 15% of those surveyed had parents with annual household incomes of less than $40 000. This compares to the 2002 national average of almost 40%. Ten years later, a 2012 study looking at Canadian medical school demographics had similar results; most students reported having parents making more than $100 000 annually. In Canada, medical school is increasingly not for poor people . But it shouldn’t be that way. Reversing the trend takes more than a symbolic gesture by a medical school here or there; it takes a structural approach to how schools choose their medical classes. A recent editorial in CMAJ is drawing some attention to the lack of diversity in medical education. This is a step in the right direction, but more concrete measures are needed. For one, the Ontario application service (OMSAS) can start with a simple measure: offer fee waivers for applicants from low SES backgrounds. Medical schools may perhaps adopt a more holistic approach to reviewing applicants, recognizing someone working part-time to support himself or herself through university is very competitive with someone with slightly higher grades but without the financial burdens. Increasing socioeconomic diversity in healthcare is a noble goal. After all, shouldn’t we aim at a system where healthcare providers are as diverse in their make-up and background as the patients they are serving? Posted in Reflections. 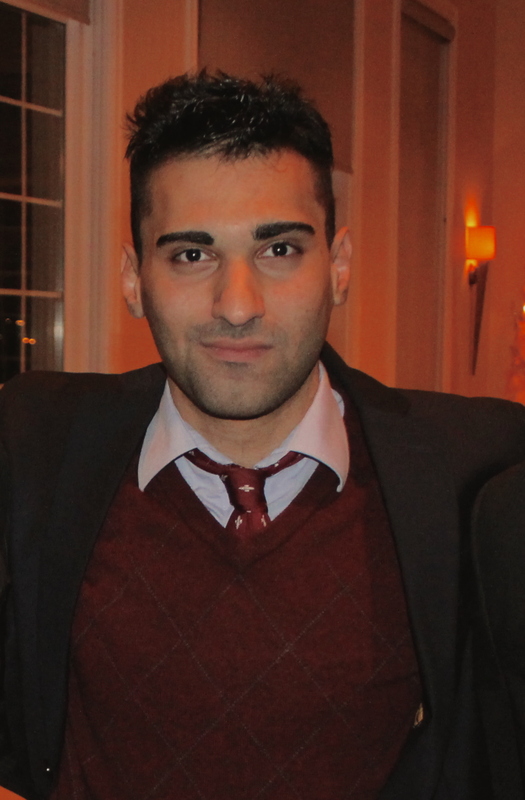 Tags: Abdullah Nasser, diversity, MCAT, meded, medical education, medical school, social justice, social mobility, socioeconomics on December 9, 2014 by CMAJ. The other part of this unfortunate situation is that students from rural/remote communities that may be interested in pursuing a career in medicine have a greater chance to be from low SES families. Research shows that new doctors will most likely return to their high SES “roots” to set up their practice, further exacerbating the acute shortage of doctors in rural communities. That is very true. I’m glad SES (and rural) diversity is getting more attention since it’s the kind of diversity that is not immediately visible in the faces of medical students or doctors. Medical school application as a big deal seems to be a North American thing. According to some friends in Australia, their application processes are much more simplified. It seems that less people want to be doctors over there. Does that mean too many people want to be doctors over here?